Sony’s new Camera Code “WW940439” Could be RX100 VI, to Be Announced Soon ? 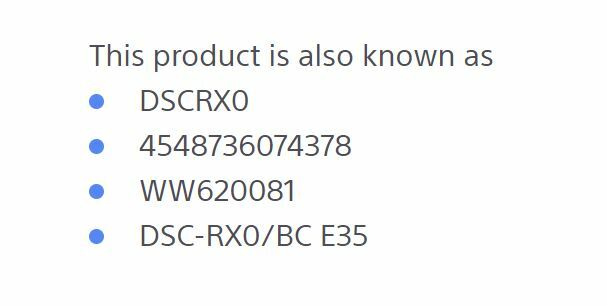 Sony just registered a new camera code “WW940439” recently, according to our source this new camera “WW940439” could be Sony RX100 VI (RX100 M6). It will be announced in next several weeks or months. Get instantly notified by e-mail when Sony RX100 M6 is Available for Pre-order ! The previous Sony camera code “WW620081” is recently announced Sony RX0 compact camera(Amazon/B&H Photo/Adorama). Previous Previous post: Samyang AF 135mm FE Lens Coming After AF 35mm f/1.4 FE Lens ? Next Next post: Up to $500 Off Rebates on Sony a7 & a9 Cameras & FE Lenses Expired Soon !